I grew up in a suburban So. Calif. home that could have been cut right out of a scene from the 60's show "My Three Sons". 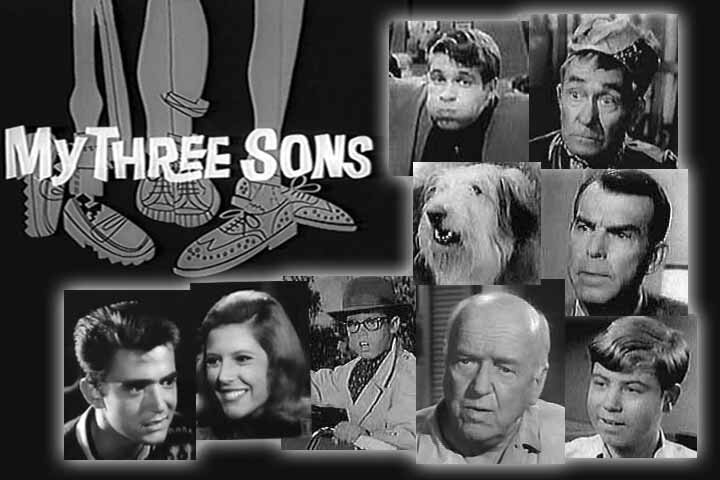 I am the oldest of three boys, just like the show, with dad working hard to provide, and mom staying home to raise the boys. We all tried hard to please mom and dad, and really lived fairly compliant lives until the 70's. It was towards the end of my senior year in high school when a rebellious spirit took over in me. Entering into college life, while still living at home did not help to lead me into independence. However, my love for basketball and an opportunity to play on the Whittier College freshman team, kept me in check for that year. I had a great coach, who cared for all the guys on our team and taught us the value of hard work. It was a very good year. The next year, I experienced rejection in a long term relationship that I thought would end up in marriage, and that sent me for a tailspin. I really lost interest in most everything and drown my sorrows in alcohol. I almost didn't play basketball, but was urged by friends to try out for the frosh/soph team. Making the team bolstered my confidence and gave me the impetus to stay in school. It also helped me keep from thinking about the pain and loss. This was a temporary fix, as I felt an emptiness and didn't have much confidence, especially when it came to women and relationships. The next long term relationship led to my first marriage in 1976, and two beautiful children several years later. Unfortunately, the lack of knowing who I was apart from basketball left a gaping hole in my core person, and no one on earth was going to be able to fill it. I thought they could, but when disillusionment and disenchantment with my wife crept into our relationship; I was quick to go looking elsewhere. The elsewhere happened to be in relationships nurtured through basketball. I focused on my career in basketball coaching to climb the ladder toward success and fulfillment. I fell into the trap that siezes many men; that being, the pursuit of the "American" dream. This dream includes, a successful career, acquiring a house with a two car garage, having a wife and children and then saving towards retirement. In the 50's and 60's, we called this "the life of Riley." I was well on the way to accomplishing this "life", but failed to value my marriage and family. I did not deal with the fact that the relationship I had with my wife was growing more distant and disconnected. I ignored this reality, choosing to avoid it and pour myself into coaching, where relationships were more positive and encouraging. I also found encouraging and empathizing relationships among fellow coaches, teachers and at post game gatherings. Of course, my marriage and children suffered as I spent less time with them. I was ripe for an affair, and all it took was someone who noticed me, who respected me for who I was, who acknowledged my time, effort and work. It just so happened that this person was one of my college basketball players and I responded by pursuing an adulterous affair with her, who is now my current wife Monique. All of this led to the destruction of my first marriage and the break up of a family. It really happened very fast, which I think is true of most affairs. In the fall of 1990, God showed me that the only certainty in life is found in relationship with Him through Jesus Christ. Little did I know that the Lord was using the circumstances of my life (previous divorce, shaky relationship with Monique, career) to slowly rip away the layers of pride which shielded me from Him. Suddenly after so many years of basketball coaching success my teams in Friday Harbor struggled to win one game. Monique and I continued to have many ups and downs in our relationship. I was living hundreds of miles from my children and missing them terribly. There was so much uncertainty in my life. I no longer had everything under control, and I had no direction. I was completely lost and felt a complete emptiness in my heart and soul. The things I had put my faith in were crumbling right before my eyes. Monique was now attending Seattle Pacific University and in October of her first quarter she attended an old fashioned tent meeting on campus. A black preacher from Alabama preached the gospel message and Monique accepted Christ as her Savior the very first night. She called me to tell me of Jesus’ love and forgiveness and invited me to come down to hear this same preacher the next night. I didn’t hesitate and made the trip to Seattle. As I sat and listened to the preacher share of Jesus’ love for me, I felt the burdens begin to lift off of my shoulders. He offered me, through Jesus, forgiveness of my sins (self-centered living) and freedom from my shameful past. I said YES to Jesus that night and began a relationship with the Creator of heaven and earth. I entered into a relationship with God through Jesus Christ in the midst of brokenness and emptiness, realizing what a mess I had made of my life. My early walk with Jesus involved church membership, something I had never really experienced in my life. It felt good to be a part of God’s family and be involved in youth ministry, serving with my wife Monique (we were married in summer of 1992) as a middle school group leader. However, this involvement and good feelings faded as our Bibles became dusty and our lives more busy. Our life with God and our marriage relationship began to suffer as two self centered people grew apart. Our first child Ellie was born and my teenage daughter Erin came to live with us in Friday Harbor. Our family was growing but our marriage relationship was headed toward isolation instead of oneness. One afternoon, Monique dropped the bombshell on our relationship announcing that she was unhappy and felt it best that we separate for a short time. I was shocked and really didn’t know what to do. I watched her pack up her things, move out and begin to become more upset and angry with me. The Lord used these circumstances to lead me to a “crisis of belief’, a point where I confessed my laziness to God and gave Him complete control of my life. There was nothing I could say or do that would bring Monique back to our home. In a moment of complete brokenness on our front deck, I heard the Lord say softly to me, “just keep on loving her.” This is just what I did in the days ahead. As she continued to come at me in anger, with reasons to divorce, I would share how much I loved her. On a night when I thought divorce was inevitable, Monique called to check on Ellie and then out of her mouth came these words, words from our Lord, “if you think there is any hope for our marriage, you get over here right now and pray with me.” Needless to say, I hopped in the car and drove over to see her. We prayed and prayed, held each other and cried for hours. The Lord began to heal our relationship and work His miracles in our hearts. Monique came home with me that night and our God has been in the center of our lives ever since. This is the key to my story, God reaching out to me, humbling me and showing me that life wasn't all about me. All of this was followed by my response to receive His love, believe in Him, trust Him for the larger story. Is God the center of your life? Of your marriage? He wasn't for my first marriage and everything fell apart but it does not have to happen that way for you. God gave me a second chance through a relationship with Him first and foremost. We had the opportunity to attend a FamilyLife marriage conference about three months after our crisis, and for the first time we heard of God’s blueprints for the marriage relationship. God used the projects and biblical teaching throughout the weekend to continue to apply His healing salve to our marriage. We experienced the depth of His love, mercy and forgiveness. As our relationship continued to grow and experience healing, I felt God nudging me to explore ways we might share the hope and healing we were receiving for our relationship. This led to a call to marriage ministry in 2002. There are many people, Scriptures, books, conferences, materials, tools and experiences that have poured love, grace, truth and hope into our relationship over the years. We see all of this as a mosaic that has been created from our lives together. Many diverse pieces have been cemented together by God’s grace, the glue of our mosaic. We are calling our ministry; Marriage Mosaic. We exist to help you build your own marriage mosaic that will bless your lives, the lives of family members and others. We believe that nothing is impossible with God! We believe God has called us to help your marriage thrive.